If you’re looking for a new phone and activity tracker for either yourself or a Christmas present, Huawei has just unleashed a new bundle, offering the Huawei GR3 4G compatible handset with a bonus A1 Color (sic) Band activity tracker for $279. The phone itself isn’t new, it’s essentially a Huawei Enjoy 5s without the fingerprint sensor, but the bundle is and if you really just want the phone you can grab it for just under $200 from places like JB HiFi. The bundle appears to only be on offer with a White version of the GR3, though it’s available in Grey and Gold as well if you want just the phone. Building on Huawei’s design prowess honed over the years on their higher end offerings, the GR3 has a beautifully finished aluminum alloy unibody design. It’s powered by a Mediatek Octa-Core processor, 2GB of RAM, 16GB of storage and a 13MP camera, basically a pretty decent spec. The phone does only come with Android 5.1 – with Huawei’s Emotion UI (EMUI) laid over the top – but EMUI is quite usable and if you have problems with the aesthetic then you can always install a third-party launcher over the top. In terms of band support, the GR3 should be ready to go on all networks in Australia featuring support for Band 3, Band 5 and Band 28 – essentially your main 4G bands used across all three major Australian carriers. The Color Band A1 activity tracker is a new one here in Australia, it was apparently released in China back in May but has finally made its way to our shores. The band has all the usual fitness tracking features you could want including tracking your exercise and sleep time and quality, how far you’ve walked or run and the steps taken, as well as calories burnt. One feature that Huawei seem pleased with and will go well with the Australian audience is a UV sensor that will let you know how much sunscreen to use. The Color Band A1 does come with a notification light as well as a vibration motor to let you know when an incoming call or message arrives. The band pairs with your phone through Bluetooth 4.2 and has a 28 day battery life on standby from the 70mAh battery included in the band. It does have an IP57 rating, so you probably don’t want to get it too wet, but you can sweat in it no problems at all. There’s an app for the Color Band A1 on Google Play which lists more about the functions and what you can keep a track of and shows how Huawei will display your information. 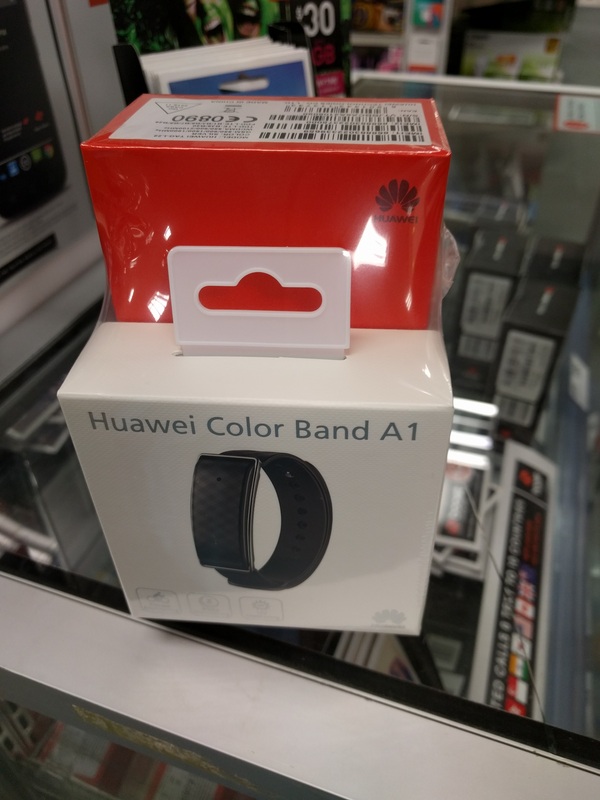 If the GR3 or Color Band sounds like something you’d want to get you can grab the bundle from Target now, we’re checking in with Huawei to see if the Color Band A1 is available separately or not.